Tension fabric buildings, fabric structures, hoop buildings, and Cover-All buildings. Fabric buildings have been available to the market as storage and shelter building solutions for nearly 50 years now. 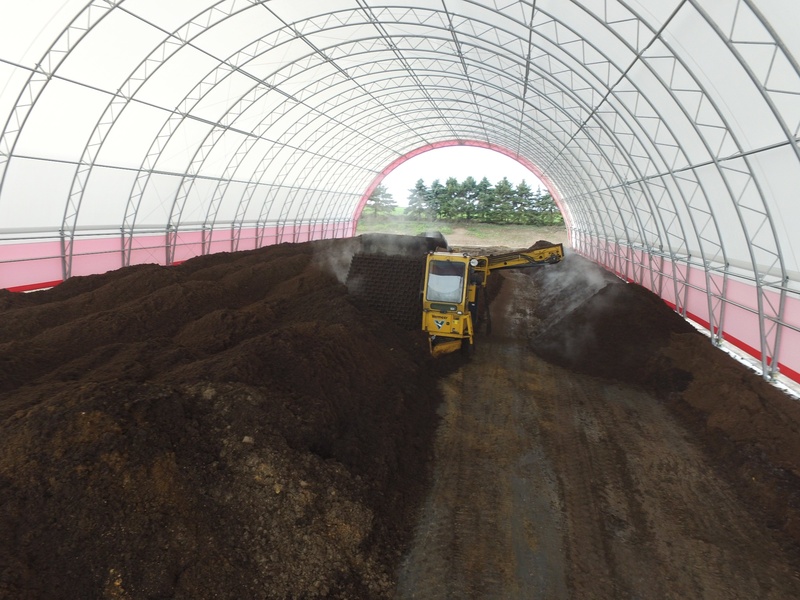 Building uses have extended from small garage and carports, and agricultural storage buildings, to large and extensive recycling facilities, full-scale barns with robotic technologies built in, and salt storage buildings that supply entire cities. But there are still a few misconceptions about fabric buildings, including building use, durability, and longevity, that we want to put to bed. On the contrary, over 50% of fabric buildings are being purchased for commercial and non-farming applications. Fabric buildings are greatly becoming the preferred choice for almost every storage and shelter building application today. Commercially fabric buildings are the most economical and flexible building solution for everything from salt storage buildings, warehousing storage, and waste and recycling buildings. 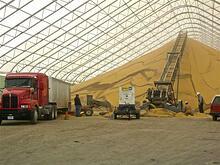 The extra high clearance allows for maximized cubic storage while covering commodities from the effects of weather. The most economical recreation buildings on the market, the rapid construction of a fabric building truly make the ideal building solution for outdoor rinks, events centers, and other sporting facilities. In agriculture, operators can reduce crop spoilage and maintain equipment by protecting them from the elements while accessing column-free interiors. Extensive modern barns for to today's dairy, beef, goat and sheep farmers are being constructed using fabric buildings. The open floor plan allows for a flexible design, and the natural light and fresh air improve the health, breeding and production of livestock. There are many kinds of fabric buildings, and not all are created equal. This is true. However, building strength is largely determined by the building materials, and whether the building was designed or engineered. Pre-engineered fabric buildings are built to withstand local weather loads and protect the occupancy inside. All Britespan’s pre-engineered fabric buildings are custom engineered to each unique building project. Site specific building codes, occupation categories, and local weather loads are all factors when engineering a building to withstand the harsh demands. Truss depth, galvanized trusses and building installation also determine how durable a fabric building is. A deeper truss means more load strength and building components that have been hot dip galvanized after fabrication mean lifelong corrosion protection. When fabric buildings are installed correctly, they are rigid and durable for decades. A loose cover will rapidly result in cover damage and compromises the buildings structural integrity. 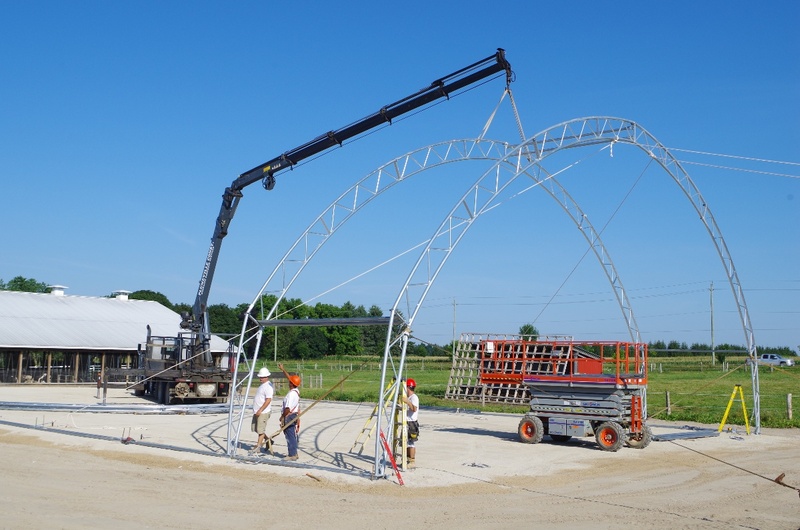 Britespan utilizes the cleanest and strongest tensioning system using 10,000 lb. winch blocks and tension pipe to ensure cover longevity and building rigidity. If installed correctly, a fabric cover can last over 20 years when tensioned properly, based on normal conditions. Fabric covers are known to last for over 20 years! And what about reducing the risk of fire? Amazingly, they are the best roofing system you could have in the event of a fire. Should a fire ever occur in a fabric structure, the cover will allow the fire and flames to escape without spreading across the rest of the cover. This damaging heat and smoke can often cause death of animals or tremendous damage to regular buildings. It is truly a life saver! That is priceless piece of mind! There are also TONS of other perks to fabric buildings! Buildings can be used as permanent, temporary, or portable structures. Add a variety of custom accessories, including insulation, doors, end and side walls, windows, and eaves. Include electrical, plumbing, heating and cooling! Brand your building with custom decals and logos to make it uniquely your own. Does a fabric building sound like the right building solution for your operations? With over 25 years in the fabric structure industry, businesses have relied on Britespan buildings to protect their most valuable assets and provide superior operational and storage space.